But yeah, as a matter of fact, ‘Google’ is a lot more than just a search engine today. Google, which will complete its sixteenth year this September has always been breaching the limits of Sci-Fi fiction and turning them into reality with their innovative research products like – Google Glass, Driverless Cars, Internet balloons, Street-view maps, Google Fiber and smart-watches. The founders Larry Page and Sergey Bin and their research project – the company itself, continues to offer the public throughout the world the services of Gmail, Google Docs, Google Drive, social networking site Google Plus, etc. for free but the product that catches everyone’s eye, literally, is the ‘Google Glass’. Google Glass is termed as an OHMD (Optical Head Mounted Display) or a wearable computer. Google developed it in partnership with eyewear giants like Ray-Ban, Luxottica and Oakley. An inquisition which everyone has in their minds is – ‘What is so special about this glass? ’ Well, Google clears this inquisition and puts everyone is awe. This product is no short of Iron Man’s fictional smart Helmet Visor which directs him throughout. With Google Glasses on you can tilt your head up 300 and say “O.K. Glass” to activate it and it will help you capture what you are seeing or record a 720p HD video just with a voice command. Wanna know how much more awesome could you get just by putting up these glasses? You could ask the Glass to guide you to your home and it will give you directions while you are driving. If you are far away from your dear ones but too busy to talk to them, just ask your Glass to start a Hangout and you could see all of them while walking to the office. This equipment also makes it easy for the Surgeons to teach their students the very details of healthcare if they had a direct recording of what they saw during the operation. 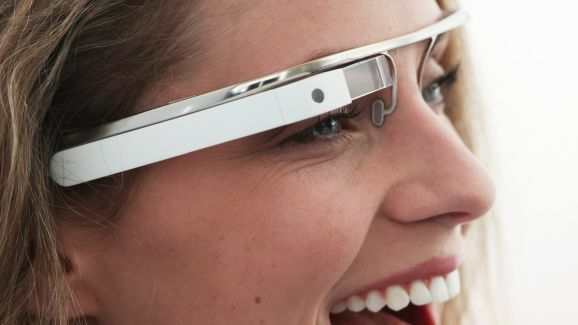 Google had started the sale of the Glass which cost around 1500$ this April for a limited period. With all the features like Wi-Fi, Bluetooth, 5MP Camera with HD recording, Touch, Voice recognition, 16GB storage, 628 MB RAM, a gyroscope, accelerometer, magnetometer and Google planning the full- fledged release for the product later this year, it is not far that we would all be wearing a computer and using a smart visor around as easily as Google for a search engine.